I have been sick with a fever that just won’t go away since late Friday. It’s an upper respiratory infection mostly. So, I have had quite a few days trying to take it easy. I had to do some housecleaning, grocery shopping and cooking but tried not to over do it. I feel this afternoon for the first time that I may be past the worst of it. It feels like the fever may have finally broken.The yarn I ordered to dye hasn’t arrived, but I expect it anytime now. It’s good that it is late since I would have been tempted to drag myself out there and work when I needed to rest. If you look on the bight side of the coin, I have had more knitting time than I would have otherwise had. I completed the first three charts of my Sonnenblume and started the last one. Things are getting pretty serious now though. Take a look at the spread there. I had to actually print them out which I rarely do. I normally just open the file on my laptop or tablet and glance at it when necessary. That doesn’t work with this section however. My stitch count when I started section D was 374 which is a pretty large number. 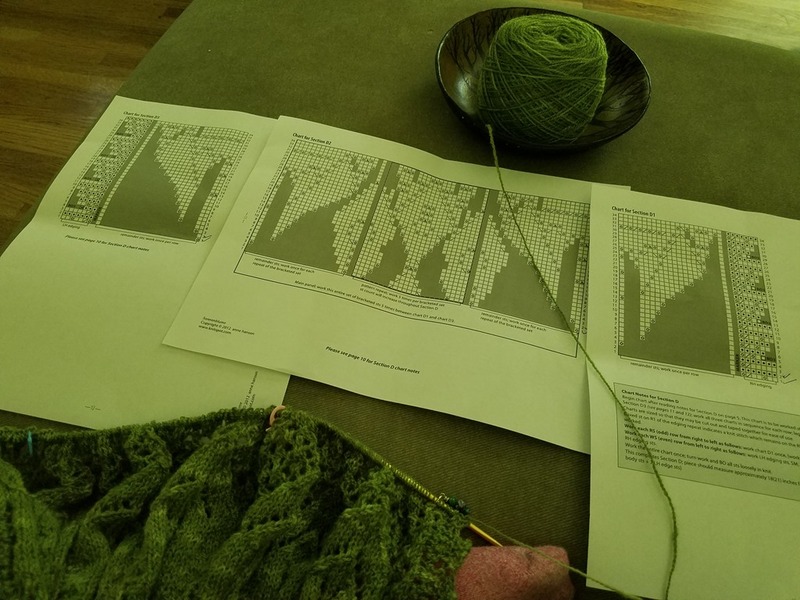 I wish I hadn’t looked ahead at how many will be on the needles by the time I finish chart D and bind off. Are you ready for this? There will be 713 stitches. Gulp. 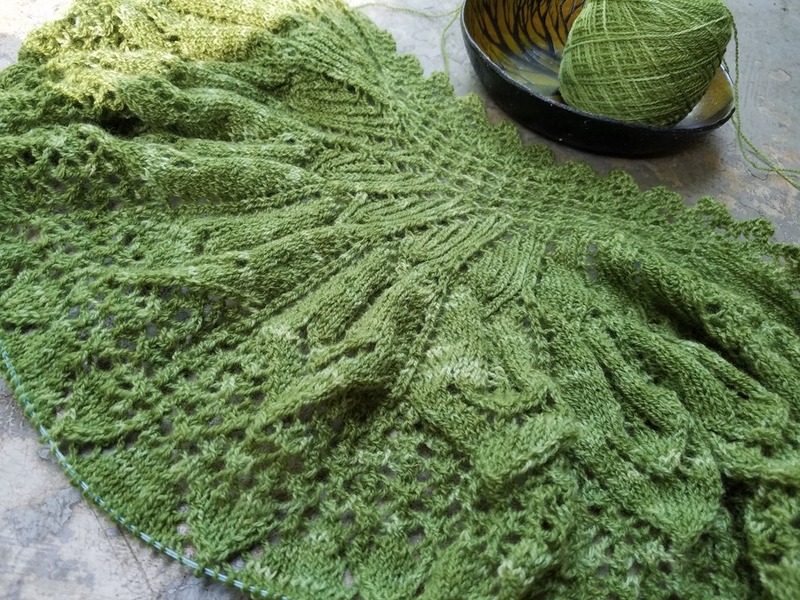 It may take a week just to bind off.